A landscape masterpiece awaits us in the heart of Melbourne's east. Beautiful fruit trees, a large vegetable garden and an amazing apple walk will all compliment the spectacular water feature, classical brick fencing and modern garden house, among many other outstanding features. This will truly be one for the ages. 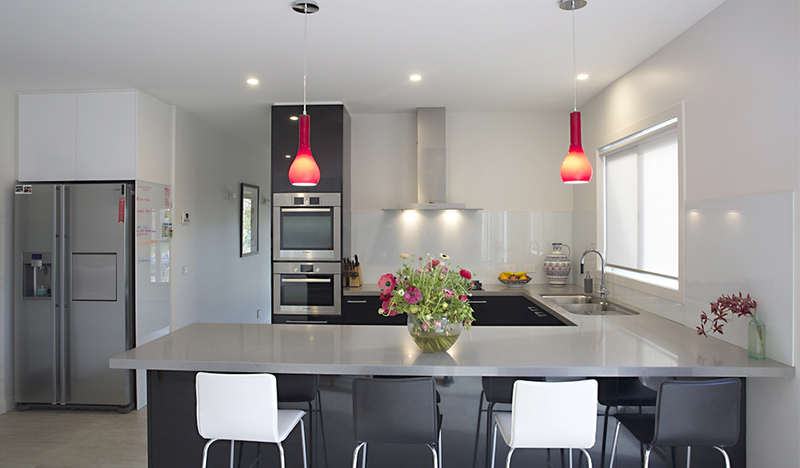 A two storey modern home, with an immaculate fit out, awaits us in beautiful Barwon Heads. Located in a quiet and serene street, this new home will have all the modern features everyone would crave, whilst still giving a warm and welcoming appearance. Natural concrete rendered walls on the ground floor will contrast beautifully with the timber shiplap and metal cladding to the upper storey. The satin black double glazed aluminium windows and doors will allow in plenty of light and blend perfectly with the natural claddings. 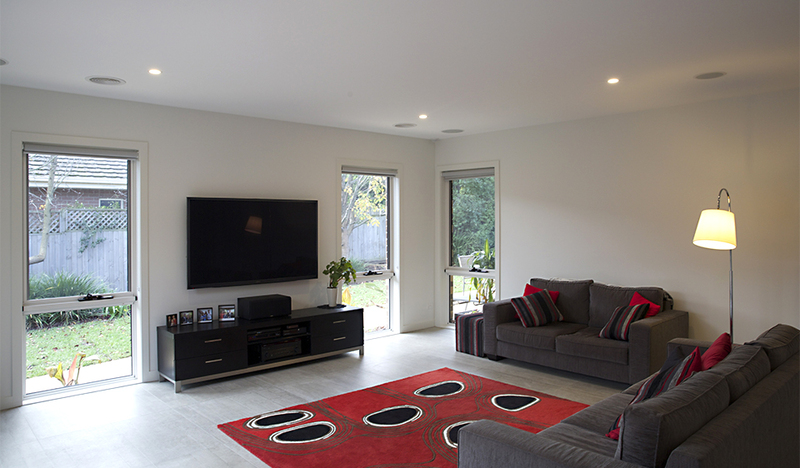 Inside, the home will hero polished concrete floors and a feature open steel and timber staircase. The remaining of the interior fit out will not only look stunning, but offer the owners plenty of comfort and storage. With a pool and stunning landscape gardens to finish off this 6 star energy rated home, it will certainly be one worth keeping an eye on. The two storey weatherboard extension and renovation of the traditional late Victorian home in the heart of Clifton Hill, has now been completed. This beauty has maintained its traditional features whilst ensuring all the modern comforts are being enjoyed. The beautiful polished hardwood floor boards to the hallway and two front rooms, gives a warmth that ensures you feel welcomed as you enter through the front door. The two original front rooms have maintained their feature fire places with new black granite hearths recessed into the timber floor boards. 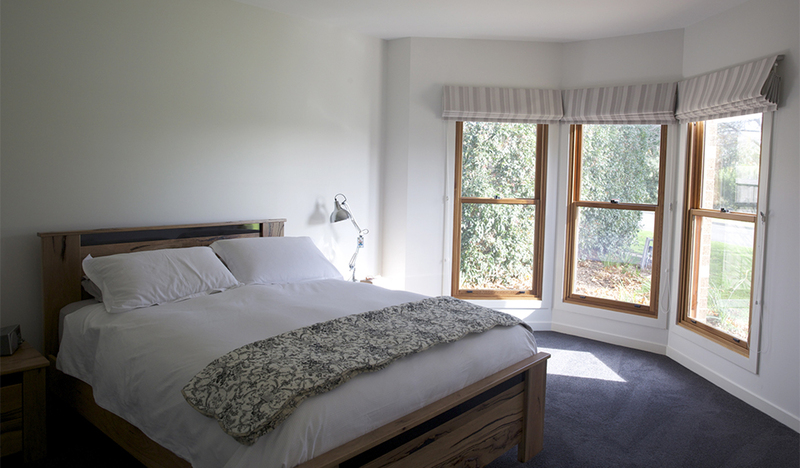 The second bedroom has two large floor to ceiling fully fitted wardrobes as well as its own ensuite with floor to ceiling tiles, a large shower recess area and beautiful bathroom fixtures. The rear of the dwelling steps down onto a concrete floor, which has been sealed to ensure the natural look is maintained whilst protecting it for any accidental spillages. The fully fitted kitchen exudes elegance with the vinyl wrap cupboards and drawers complimenting the "Shitake" Caeserstone bench tops and smokey grey mirrored splashbacks. The staircase to the upper storey is a beautiful polished hardwood design with a very elegant timber wall rail. The two upstairs bedrooms are fully carpeted with a dark quality design, giving wonderful contrast to the light coloured walls and ceilings. 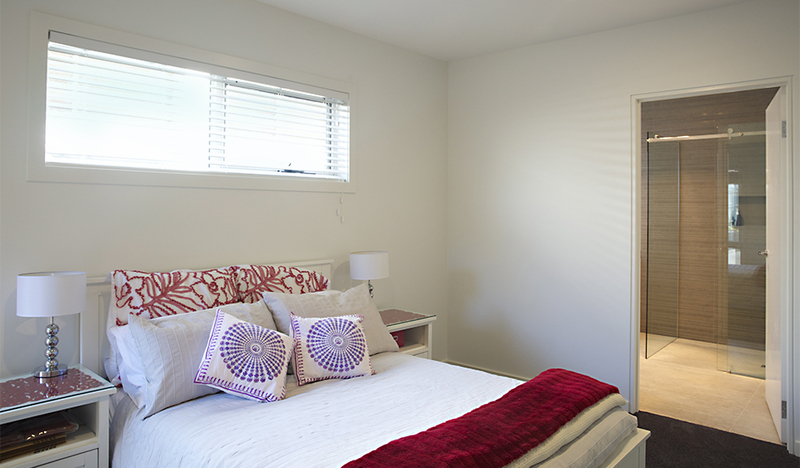 They also have huge fitted wardrobes with plenty of shelving, drawers and hanging space. The bedrooms are separated by a generous sized bathroom, with a large wall hung vanity, a roomy shower recess area, a separate toilet area and a beautiful modern bath tub. 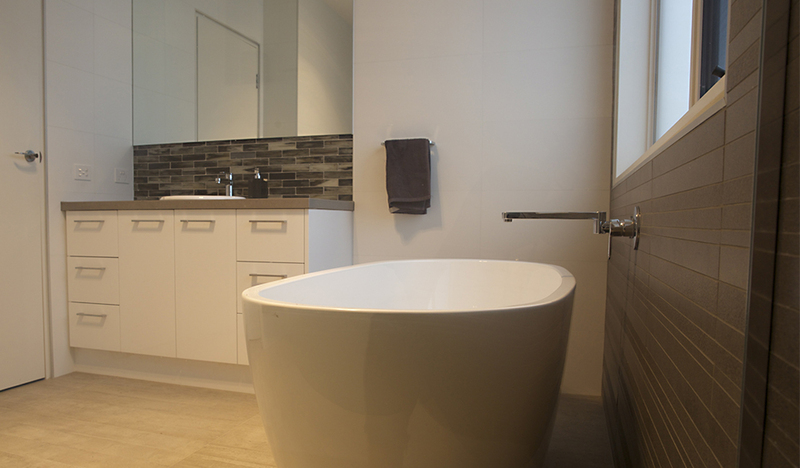 The taps, towel rails and fixtures are of the highest quality and the heated tile floor makes it a pleasure to use in the middle of a cold Melbourne winters day. 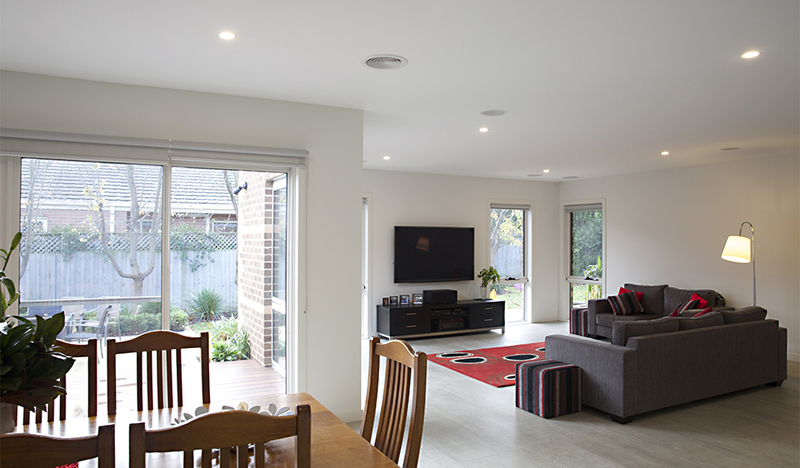 The entire dwelling is serviced by Daikin Inverter reverse cycle heating/cooling units. The front of the dwelling has a restored front veranda with jarrah timber floor boards, traditional style turned posts and cast iron fretwork, in keeping with the age and style of the home. The rear of the dwelling has its own fully covered veranda with merbau decking boards, square posts and an opal coloured polycarbonate roof with UV protection allowing natural sun light in all year round. This project is the pride and joy of the Owners and will be enjoyed for many years to come. 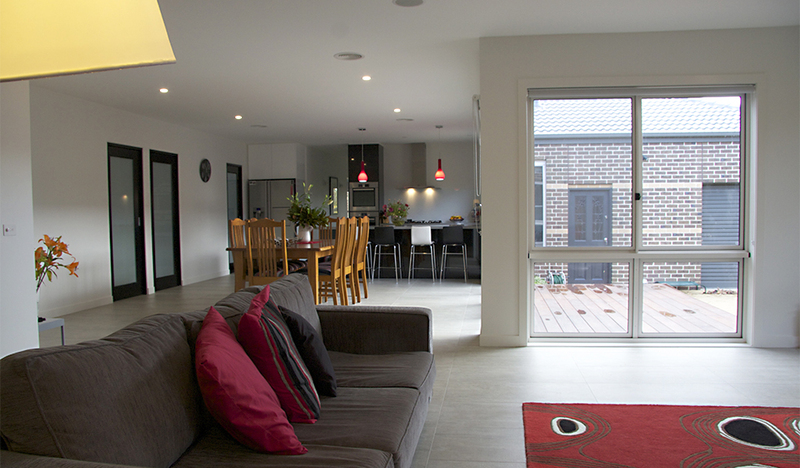 A new single storey "industrial" house has now been completed in the heart of Brunswick. Although relatively small in size, this house provides the proud owners with all the space, storage and modern comforts anyone could need. The three bedrooms and two bathrooms are a testament to that. 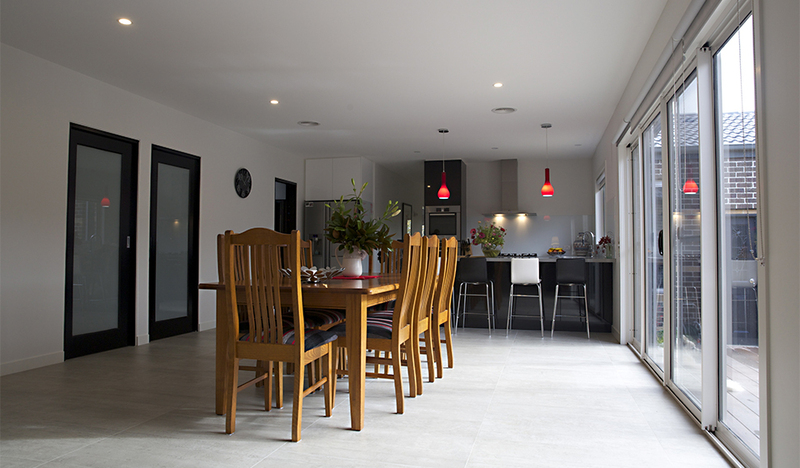 The beautiful polished spotted gum floor boards greet us as we enter the striking red front door and lead us to a large open planned kitchen, meals and family room at the rear of the house. 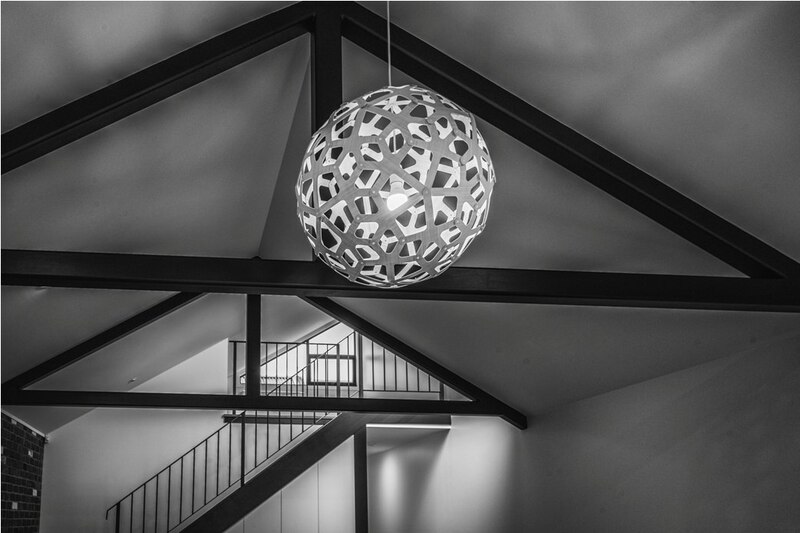 A solid spotted gum timber staircase with steel balustrades takes us up to a very roomy attic. 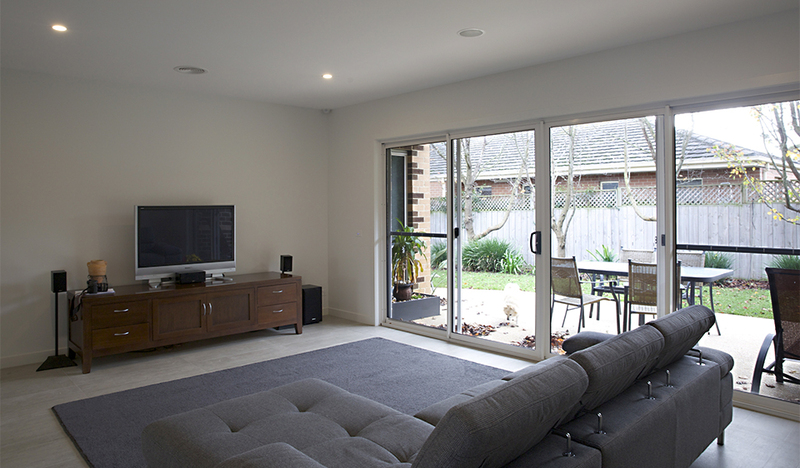 Along with wall to wall storage, this wonderful space upstairs not only gives the house a larger open feel, but also gives the owners another versatile and multi purpose room. 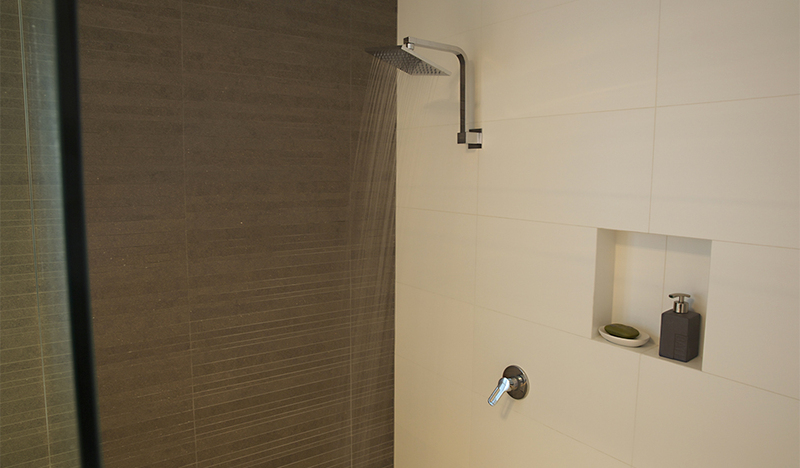 The ensuite and bathroom both have large walk in showers and beautiful large vanities. 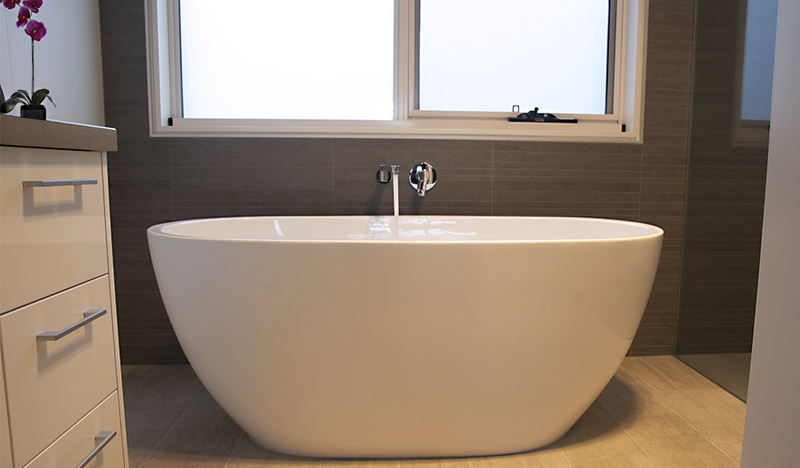 The main bathroom also has the added benefit of a deep and very comfortable free standing bath. Large floor tiles and floor to ceiling wall tiles add that extra touch of class whilst still maintaining the industrial theme. Beautiful jarrah front and rear veranda's and a surprisingly spacious court yard add the finishing touches to this master piece. The clients wanted the existing part of the home to be completely restored to its original state, including the period fireplaces, cornices and skirting boards, and it was essential that everything in the home maintained its original integrity. 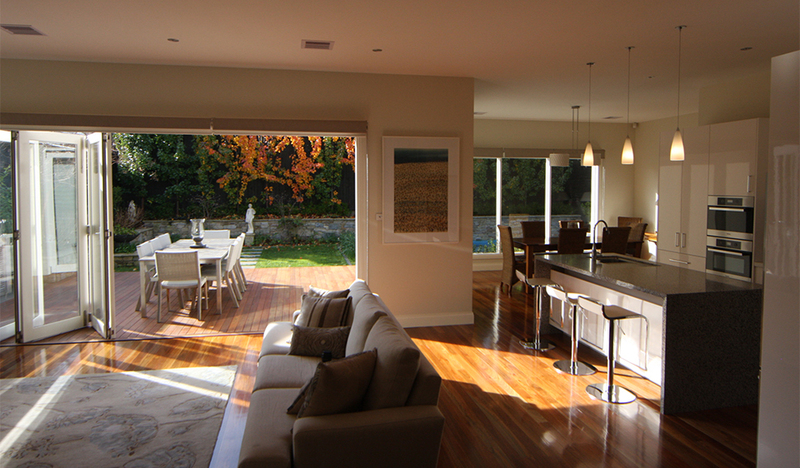 They also wanted to add an open-plan area at the back of the house for a kitchen, dining area and family room. This area was to be designed and fitted with a contemporary aesthetic in mind, while maintaining a seamless transition between the front and back areas of the home. 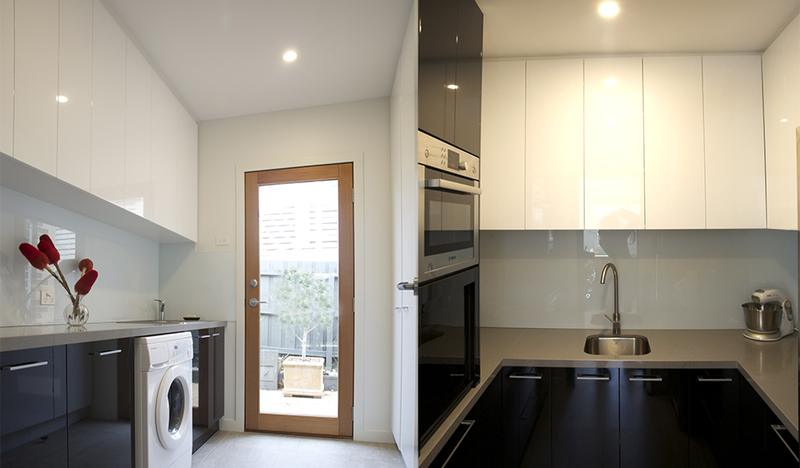 A second bathroom and laundry were included in the extension, both of which follow the contemporary but classic theme. 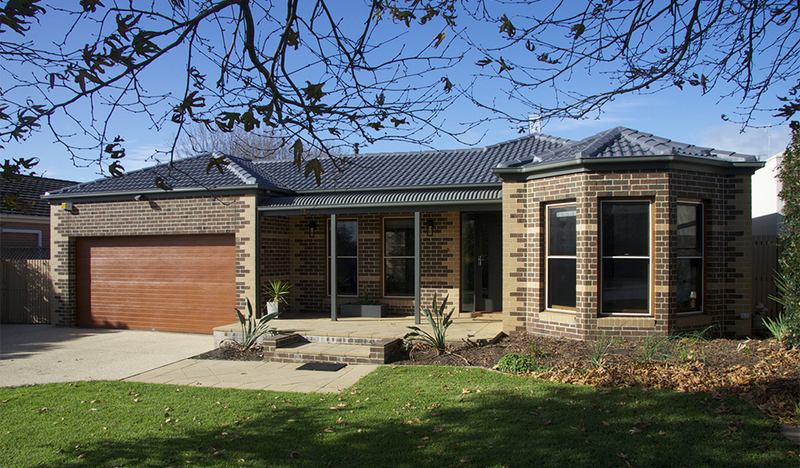 The clients at Buckley Falls Road Highton in Geelong wanted their 1999 home completely renovated as well as a 110m2 extension added to the rear. The clear instruction was to maintain the original characteristics on the outside, whilst completely transforming the interior to a modern design. The transition between the existing dwelling and the extension is seamless and gives the clients exactly what they set out to achieve. A large rumpus room, central bathroom, separate powder room, new laundry, and two very spacious bedrooms with their own walk in robes, are all included in the new extension. In the existing part of the house the beautifully appointed modern kitchen with a fully operational butler’s pantry, large family room and meals area all take in the northern aspect; with large stacker sliding doors opening onto a magnificent wooden deck. 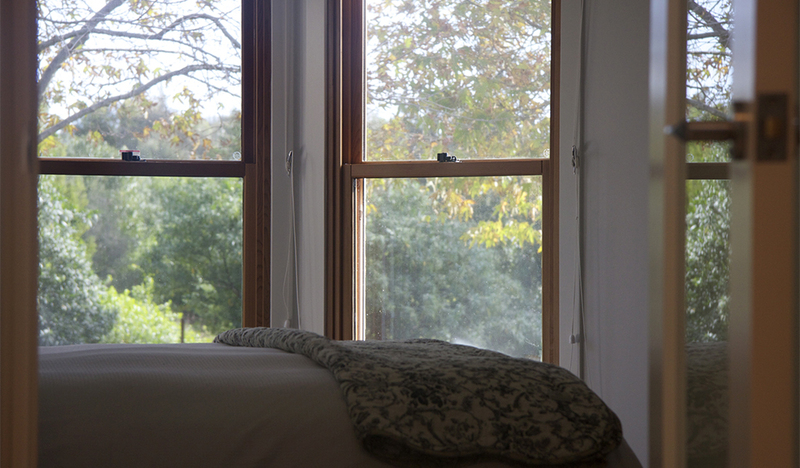 At the front of the house, the formal lounge room and master bedroom with a spectacularly fitted ensuite, give the Owners the chance to relax in comfort, looking through the new double hung timber cedar windows across to a quiet public reserve. 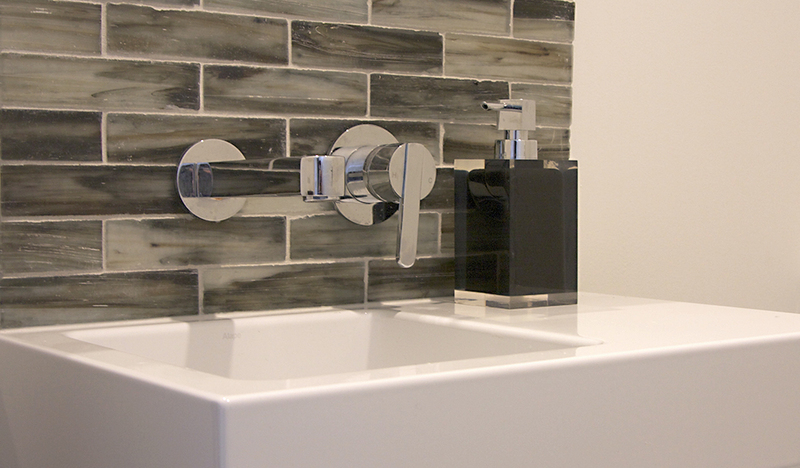 The interior colours and finishes of the house was designed by “Krystal Sagona Interior Design”, and have been cleverly chosen to maintain a neutral theme with blends of dark and light throughout, further enhancing the beautiful feature tiling in all bathrooms and the quality cabinetry throughout. Jose and his team built our house in Brunswick from demolition through to completion. It was a narrow site adjacent to a party wall so not for the faint-hearted Builder! But throughout, Grand Maison were encouraging, creative and always professional. Every time we encountered a problem they helped us find the best solution. And above all else, Jose made sure our house was built within schedule and budget. he kept us in the loop on all decisions and always consulted us even for small changes. It was a true pleasure to have Grand Maison build our house and we can't speak highly enough of Jose, Scotty and Mick. We'll definitely be calling them when it's time to build the next one. 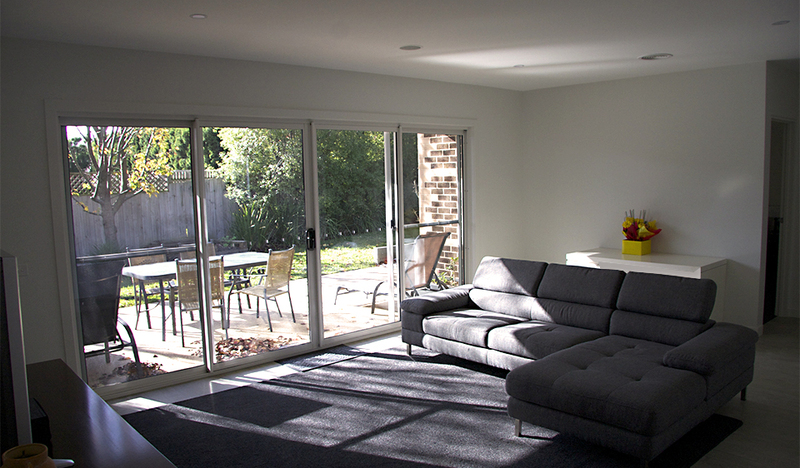 Our substantial renovation was more like a rebuild with the whole house being modernised. Jose and his crew from Grand Maison were fantastic to work with from planning and design through to moving back in. The high standard, attention to detail and quality of work is incredible. Our project was completed within the time frame and to our guidelines with constant communication between Jose and ourselves. He was always available to show us progress and consulted with us regularly; nothing was too much trouble. 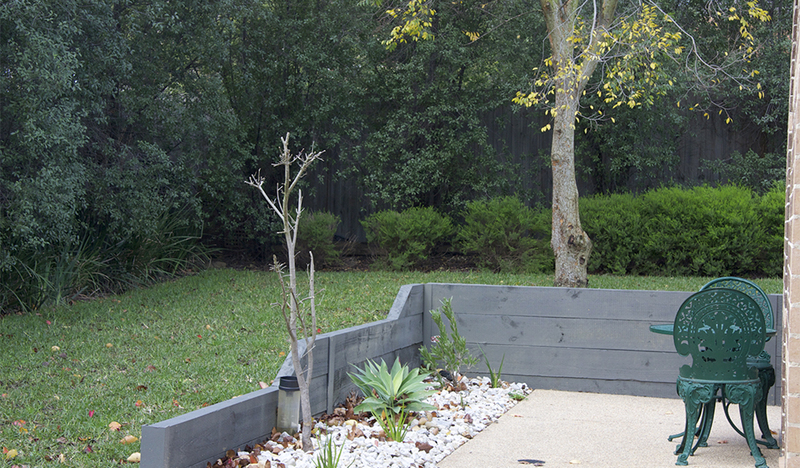 Jose and his team kept our home, gardens and the work site impeccably tidy and gave consideration to environmentally friendly options including recycling and reusing where-ever possible and viable. They also consulted with us to use environmentally sustainable products and worked to make our home more sustainable. It was a pleasure to build with Jose and his team to create our dream home. We are so happy. A huge THANK YOU. 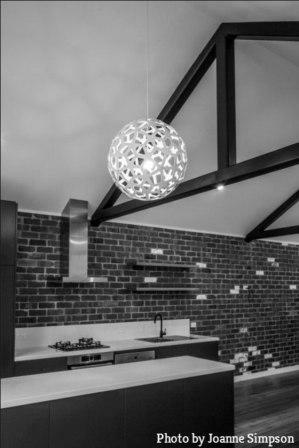 We engaged Grand Maison Constructions to undertake a major renovation and rebuild of our Victorian home in Armadale. Throughout the entire process, from concept to completion, we received a high level of professional support from Jose and his team. Jose was always available to discuss any concerns that we may have had and handled every challenge in a calm manner. 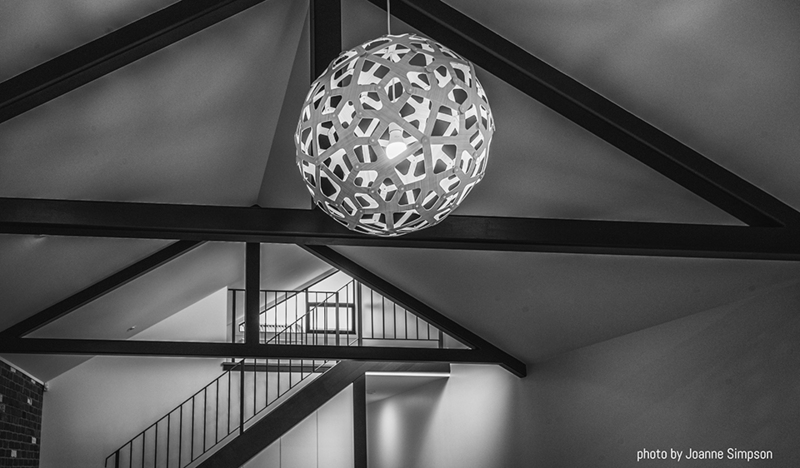 Jose’s team worked harmoniously, ensuring a smooth and uncomplicated process, that gave us confidence in the day to day decisions they made relating to the build. 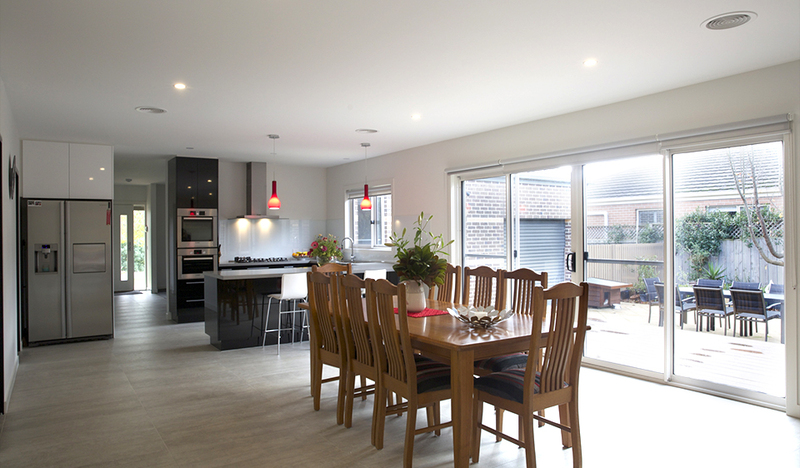 The project was completed on time and on budget ,with the attention to detail and quality of workmanship giving us a home that matched our vision. We have no hesitation in recommending Jose and his team and thank them for our beautiful home. Jose and his team did a beautiful job renovating and extending our Federation house. During the process Jose was very good at giving us constant updates and always available and responsive when we had questions. When the inevitable issues associated with an old house arose, Jose was right on to them and even had ideas for us to improve the design of our new spaces. I have no hesitation in highly recommending Grand Maison Constructions. Copyright © 2019 Grand Maison Construction. All Rights Reserved. Developed by Right Left Communication.